Great on-the-go tool for all investigators! 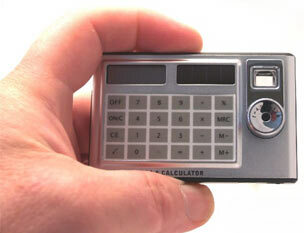 It's featuring a very slim "card" type calculator and quality digital camera in one "shirt pocket" size unit. 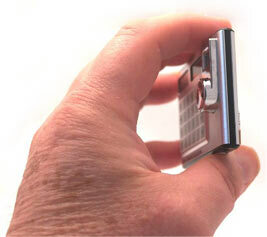 High speed transfer of images to your computer via included USB interface cable. 8K internal memory stores 32 images at high resolution (1280 x 960 pixels) and 117 images at standard resolution (640 X 480 pixels). Also may be used as a PC camera. Set includes free Arcsoft Photoimpression and Arcsoft Funhouse software CD for editing images.